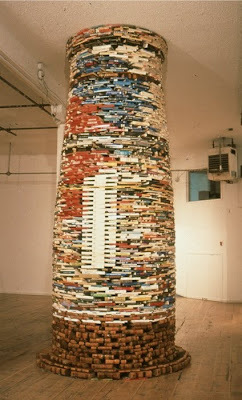 In past we have seen artwork created using books as medium, but it never occurred to us that even installations can be created using books until we saw these. These are the creations of artist Bendtsen. 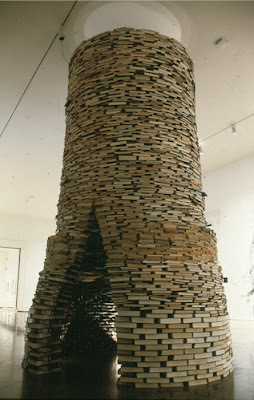 Bendtsen creates a series of architectural "installations " using books. 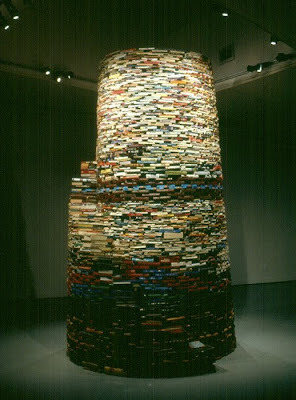 At first look these works may seem to be simply a pile of books though skillfully arranged to create a sculptural, architectural form. 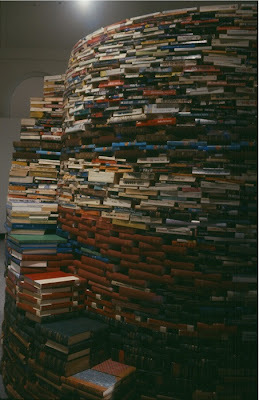 Upon a closer look one finds that titles of the books, the different types of books placed side by side, and on top of each other, creates the foundation and the structure. 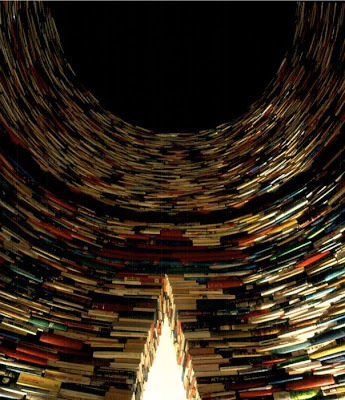 And each of these books is kept in specific manner to reflect upon the concepts that have preceded it as well as those surrounding it. Do check the rest of his art work here - Link. 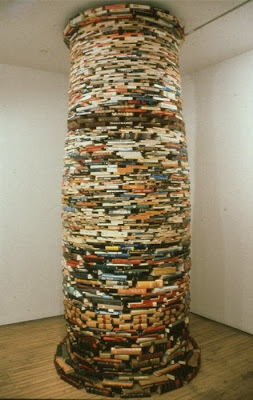 3000 books used in making of this Doric column in contemporary art centre, texts specific to western history. 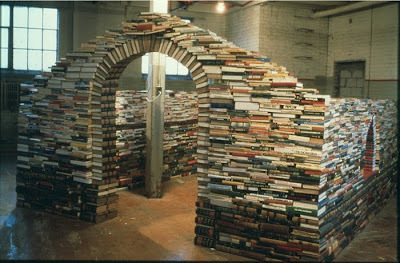 12000 books entrance with a hole in the wall measures 7'(top) x 3'. 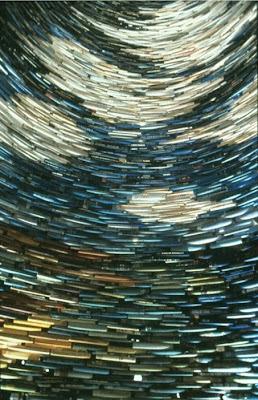 Interior details: The binding faces are inward, creating dialogue between books across surface of work. 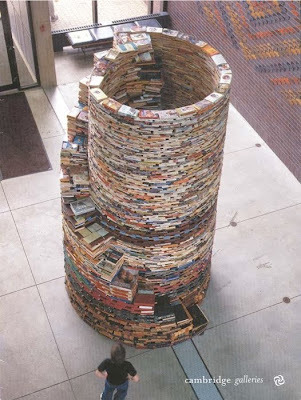 It measures 6' (diameter) x 14' (height)." At the back of the structure, there is a hidden staircase. 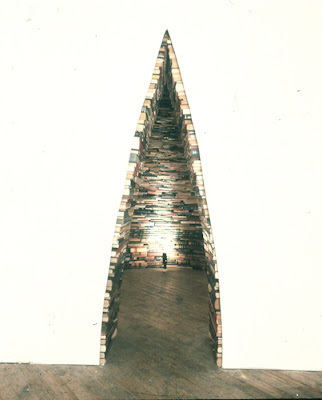 It measures 8' to 6'x12', 10000 books used, the accession of staircase are contrasted by books becoming more superficial as it goes up. 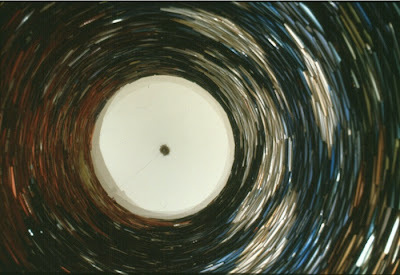 Measures 16' (height), took 3 years to build in 4 different ways using 12000 books. 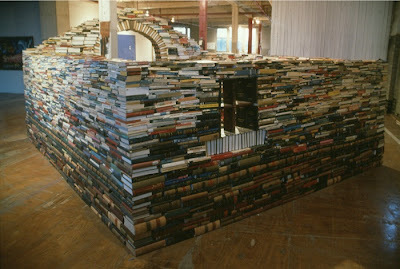 Interior: What you have here is a 360 degree landscape panorama, books as pixels.